#New Car models, photos of new cars. 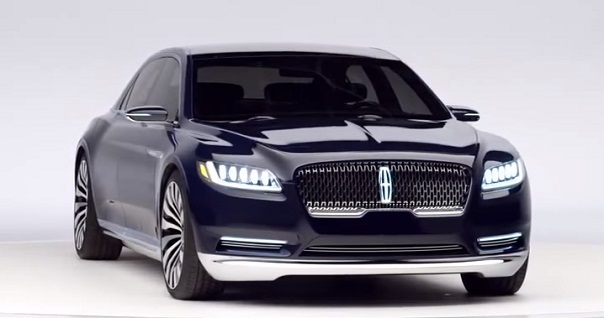 Serial version of the new 10th generation sedan Lincoln Continental 2016-2017 model year US-based Ford Motor Company will present officially in January 2016 at the annual Detroit Auto Show. The new four-door Lincoln Continental Executive Sedan 2016-2017 year promises to be the most luxurious car produced in America. That, according to the American company the Lincoln management, will allow the new product to compete with the British sedan Bentley Continental Flying Spur. 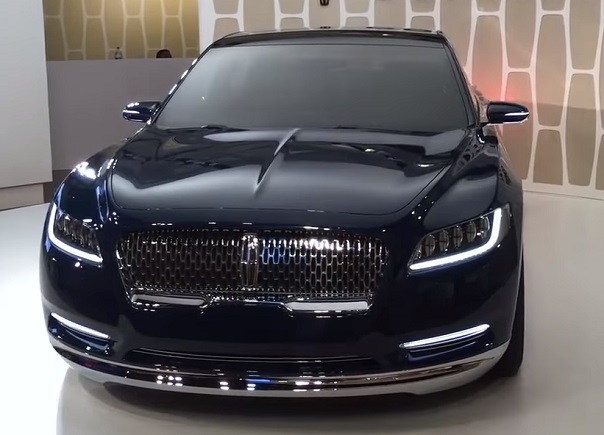 According to preliminary information, the sale of new Lincoln Continental will begin immediately after the premiere at the Auto Show in Detroit. 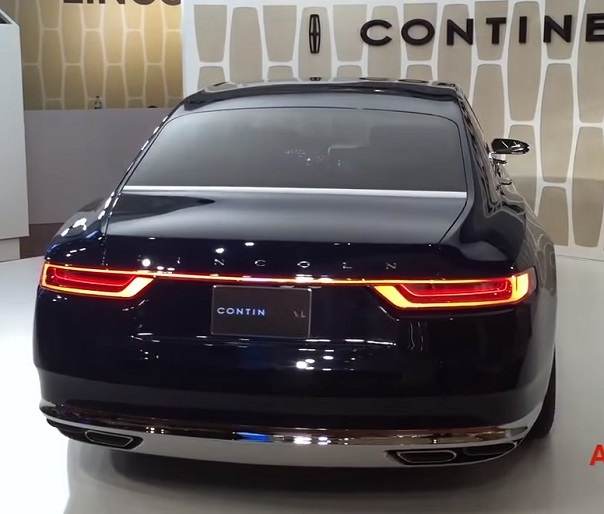 Price Lincoln Continental 2016-2017 will amount to 60 thousand. Dollars for the basic kit with front wheel drive, up to 100 thousand. Dollars for the version with all-wheel drive and a maximum range of additional equipment. Judging from the declared value of the new sedan from the Lincoln Continental, despite ambitious statements by top managers of the company, is likely to compete with the Audi A8 and BMW 7-Series, Jaguar XJ and Mercedes-Benz S-Class, but not with the «flying spur». But our task is to identify all the advantages of the new American executive sedan. And we’ll do it on the example of Lincoln Continental Concept, presented in the spring of 2015 at the auto show in New York. Especially, that the serial version of the tenth generation Lincoln Continental promises almost exactly match the concept. The design of the exterior body of the American news indeed impressive elegance of the lines and extremely stylish form (see. Photos and videos). New Continental, on the one hand, a solid and expressive, and on the other, dynamic, sporty and charismatic. Shop in the US auto news really smart, you can verify this by viewing the official photo and video materials provided in the review. The tenth generation of the new Lincoln Continental sedan model year 2016-2017 on the one hand looks solid and expressive, the other sporting and dynamic. The front shows a modern car head optics Matrix LED with an assistant laser beam adjustment, which regulates the flow direction and the intensity of luminescence, and behind the overall ceiling interconnected smart LED garland. American Profile shows a flat roofline and large side doors. It’s great on the background of a solid body look and huge wheels R21 wheels. Producer assure that persist and stylish door handles E-Latch, hidden under the window sills line in the production version of the sedan. Sculptural nose formed a powerful American sedan surface of the bonnet, rising above the front fenders, grille and stylish falshradiatornoy decorated with elegant chrome mesh netting. Available front modern Matrix LED headlights with laser assistant, regulating the flow direction and the intensity of luminescence, and behind the smart LED festoon the entire width of the body. Side of the body of the new American sedan demonstrates the classic proportions of a body with a long hood, large side doors, a flat roof line and a solid stern. But how elegant looks the body of a large sedan as great look huge 21-inch wheels in the bottomless arches, hoarded in window sills line handles E-Latch (manufacturer certifies that the production version stylish pen saved, and the doors will be closed silently). Foods executive sedan — with the elegant shape of the rear wings, LED chandelier, overall lighting, compact and powerful trunk lid bumper with integrated dual exhaust system trapezes, looks like the back of the sports car. Physical production model Lincoln Continental sedan retain almost all designs tested on the concept, even pre-stylish handles and huge wheels will go to the conveyor sedan variant.